All students who are appearing for Medical or Engineering entrances want to get good rank to achieve their goal and make their parents proud. Right? But, some of them are not able to fulfill their dreams due to financial issue and that cause lack of preparation. This is why Simplylearnt.com is offering FREE online preparation as a scholarship for the needy students who want to crack Engineering/Medical & NTSE exams. On the way achieving this goal, students get a lot of problems like time management, board, school assignments and the biggest one is highly paid tuition classes. Yes, It happens! This is why we came up with this great SCHOLARSHIP Program. Now prepare for your entrance with zero problems. 2000 STUDENTS HAVE ALREADY REGISTERED FOR THIS TEST, IT'S YOUR CHANCE NOW! 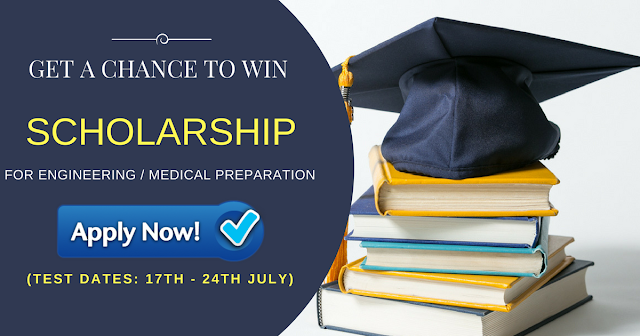 FREE of cost preparation for Engineering/Medical & NTSE exams. Get SMART as scholarship with complete study material: Study plan, practice tests, doubt solving facility, notes, tips & tricks, good enough meter, experts support etc. Also, you can use all these features in ANDROID APP. Be prepared for the entrance & get a good rank. Avail scholarship as per your score percentage. Prepare well for the test, attempt & start your preparation on www.simplylearnt.com: Guiding You To Entrance Success!